“Sara” never imagined she could fear a kindergarten student, but the paraeducator from an affluent, high-achieving school district in the eastern part of the state says she was traumatized by routinely being bitten, kicked, and punched by a five-year-old child in class. The classroom aide, who asked not to be identified by her real name or school district, said she and others repeatedly asked school administrators for help and training to prevent and manage the student’s difficult behavior—to no avail. Instead, the boy’s behavior escalated enough that he was removed from the room and returned to class 12 times before ultimately being referred to an “alternative setting” for students with emotional impairments and behavioral issues, Sara said. “After the principal got bit, he was finally on board that something needed to be done,” she said. 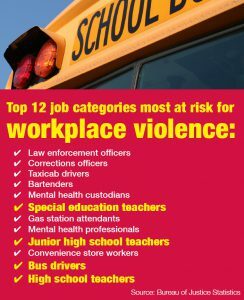 Violence against school employees is a problem experts say is under-reported and overlooked across the U.S., resulting in a wide range of costs: lost wages, medical and psychological care, increased workers’ compensation claims, employee attrition, and incarceration of perpetrators. 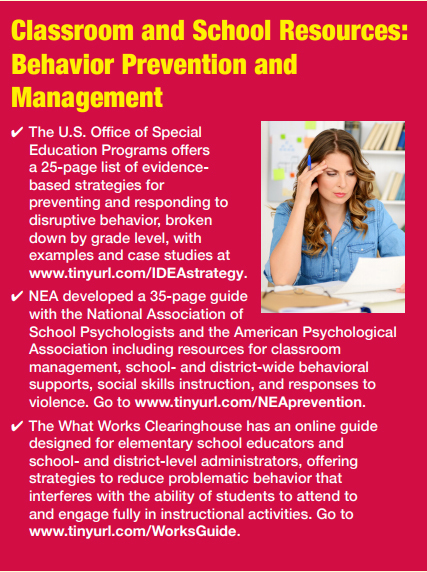 Although that clarion call has not been heeded, MEA is tackling the issue with a new School Violence Toolkit. Local union leaders can use the Toolkit’s resources to educate members, bargain new language and policies into contracts, and help individuals affected by violence. MEA is working with several prosecutors and sheriff’s departments across the state on proper procedures for addressing problematic situations. Teachers and education support professionals interviewed for this story agree the problem is growing and needs to be addressed. All of them requested anonymity because of student privacy concerns and fear of retribution from school district officials. The APA study found up to 80 percent of American teachers are victimized each year—including harassment, property theft or damage, verbal threats, obscene gestures, and physical attacks. Attacks ranged from objects being thrown to assaults that resulted in injury. Approximately 6 percent of K-12 teachers are physically attacked each year in schools. The National Center for Education Statistics reported that 473,000 nonfatal violent crimes were committed against America’s educators in one five-year period. One elementary special education teacher—“Mary”—said she struggled to handle a self-contained classroom of students with cognitive and physical impairments, developmental delays, and autism after the arrival of one young boy who had emotional instead of cognitive issues. He slapped and punched her “all the time,” she said. She was considering filing a grievance against the district for failing to provide a safe work environment—specifically for not following stated policies that require administrators to follow up in writing with what actions were taken after a teacher files a formal report of violence. “I don’t want to be the teacher that’s filing grievances, but I don’t know what else to do,” she said. Mary says she continued to fill out incident reports, despite her principal’s lack of follow-up, because she knows documentation is important. MEA staff agree—filing building and district reports helps individuals keep a record of what’s happening and also can reveal larger patterns. When building or district administrators fail to adequately respond to incidents of student aggression, victims can become isolated, Lotan said. Lotan has been working with the staff in one school building where student behavior has become a problem, and an activity early in the process opened everyone’s eyes. She had people write their school’s biggest problems on a sticky note and then hang it where everyone could see. Staff collaboration can help school districts develop quality plans to address student behavior, but a frequent complaint among educators is the lack of consistency and follow-through in how administrators handle discipline. One local union leader in southwest Michigan said disruptive, aggressive student behavior and lack of administrative support are driving away new educators in hard-to-fill positions. Students exhibiting troublesome behavior in any setting at school often are coping with poverty, trauma, or dysfunction at home. They need services that teachers, paraeducators, secretaries and bus drivers aren’t always equipped to provide, Jennifer says. She recommends that educators and support staff work together to develop a crisis intervention team—volunteers that drop everything and respond when a student’s behavior is out-of-control. Ideally those people would be familiar with the student and able to take him or her to a quiet place to cool off, but they also would touch base with the child outside of crisis moments to establish a relationship, she said. The team would include or advise administrators. According to research, those kinds of improvements happen when administrators and staff work together to establish a positive school climate, educators are supplied with quality training, and support from administrators is strong and consistent. “The types of decisions and responses that administrators make are pivotal in preventive efforts and far-reaching with respect to teacher recruitment and retention,” the APA noted in its 2012 report. An important item was left out of this article, that is the attention to the emotional needs of a staff member that has been assaulted. This is a crucial service for the person who has been assaulted. I have been retired for several years (former school social worker and MEA member) and have not kept on all the latest research but there was an excellent program developed about 20 years ago by Dr. Raymond Flannery. It is outlined in a book called “The Assaulted Staff Action Plan: Coping with the Psychological Aftermath of Violence”. There may other protocols but this is something that the MEA should really be pushing. 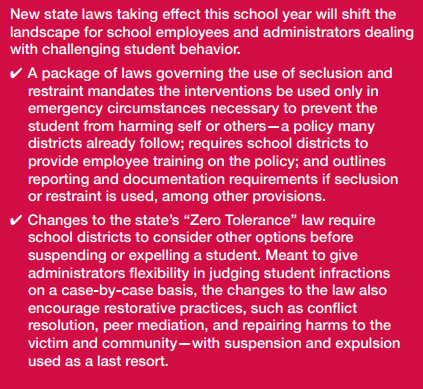 Prosecution, action plans and discipline can’t provide all of the help that a teacher, aide or other school personnel needs after an assault or serious threat of an assault. We attempted to do some of this in the school system that I worked in.